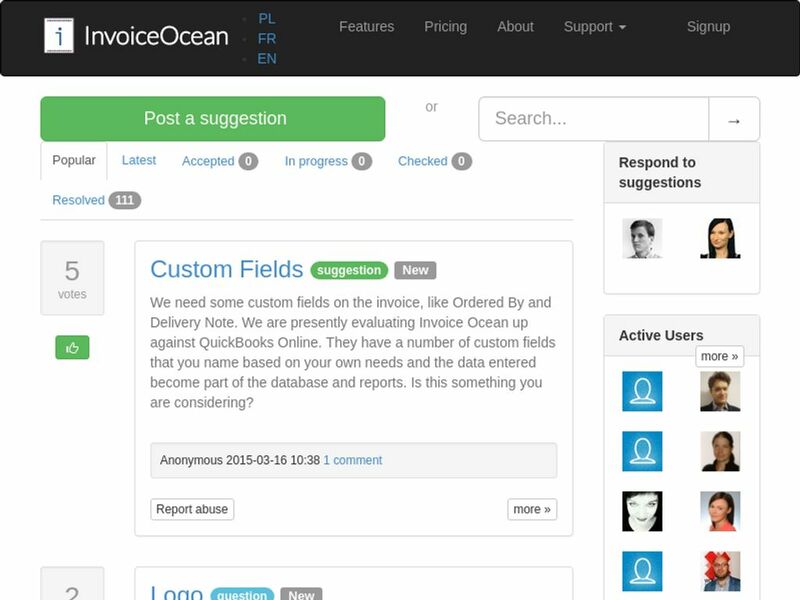 InvoiceOcean is a user friendly and fast online invoicing software. 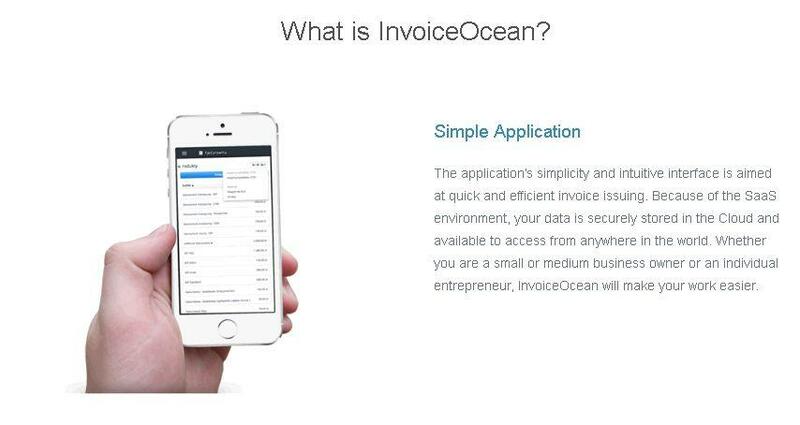 InvoiceOcean is an ideal solution for your invoicing needs. InvoiceOcean invites you to become familiar with their offer. 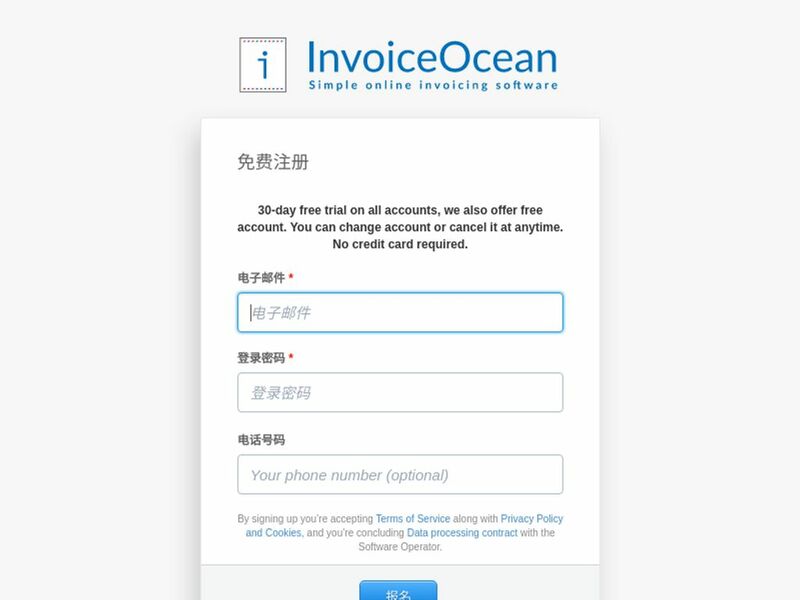 InvoiceOcean starts from $9.00 per month. 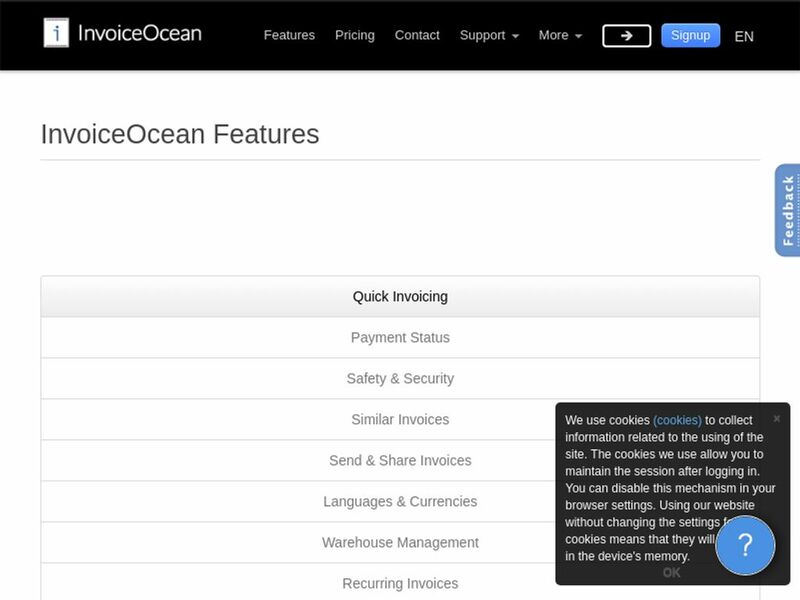 All InvoiceOcean reviews are manually approved and verified. Probably good for a small business with an international clientele, but since most business is conducted in English anyway one is probably better off spending a little more money on a better know software. I contracted the software for a tiny non-profit condo association with an international membership that required three languages and four different currencies. After three quarters of a year, I realized the software was more work than help, and we returned to a spreadsheet system. CAVEAT: READ the Terms and Conditions. There is a tiny detail about renewal that I got caught on. The company wants 14 days notice before the renewal date, or they charge you the next year’s subscription. The charge appears on your credit card without previous notice (which is normal in the accounting software industry) AND THEN they send you the invoice 5 days later. When I contacted the company, they refused to entertain the idea of a refund, or even a partial refund, and cited the T&C. Now, before you think this is a sour grapes review, I accept full responsibility for not thoroughly reading the T&C and not cancelling the services the minute I realized it was not going to work for us. But life happens, and I was a volunteer. At first, I was impressed by the software’s ability to produced invoices in many different languages and conduct transactions in many different currencies. At the Basic level, you can do a little customization of your invoice as well. And, I liked the fact that while you can easily correct mistakes after an invoice is created, the software keeps an audit trail. Currency conversions can be based on one of several internationally known central banks and institutions. The choice is limited however. You can plug in your own conversion rate, if you know it. For US$97 I thought this was the cheap answer to an expensive problem. Unfortunately, that’s where the pluses end. The software translates into Spanish from Spain. I needed Latin American Spanish, and specifically Dominican Republic Spanish. So, I had to seek assistance from a translator friend to correct the Spanish in the standard email they provide for you, and had to suffer the complaints of my Dominican members on the Spanish translation on the invoice. The statements produced were not easy for my membership to understand (several of whom own businesses). It was obviously meant more for internal purposes and not for the customer to read. The statements are produced in the home currency (in my case US$) so it was difficult to give an accurate accounting of a payment received in pesos against an expense incurred on the member’s behalf in pesos I was able to get around it by exporting data and creating statements in Excel. But since this actually created more work I was frustrated. 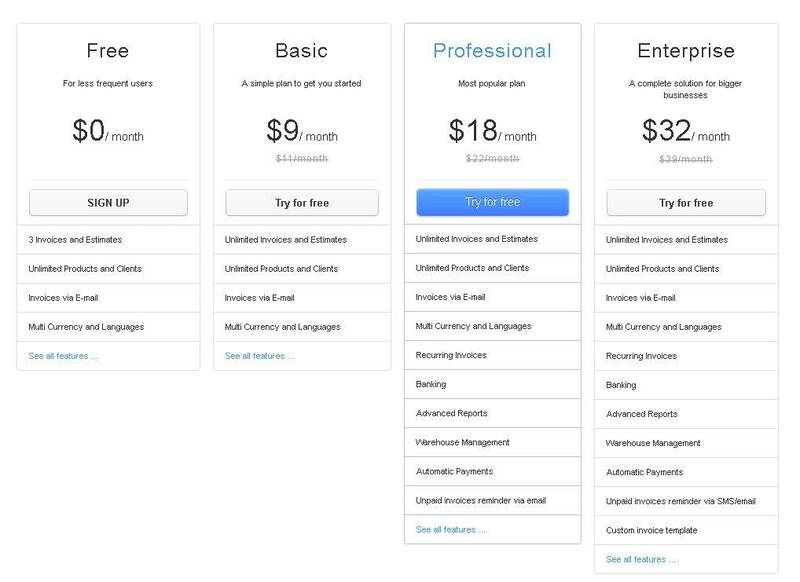 While you can create “the look” of your invoice, there wasn’t a lot of choices for invoice templates at the Basic level. Also, there were features of the invoice template I chose that I didn’t need, that I had to uncheck every time I did an invoice. Even when using the “create a similar invoice” feature, there were boxes that had to be adjusted. This meant EVERY invoice had to be triple checked before sending to the member. Again more work. Creating new customers and product/services on the fly was a bonus, but it is also a detriment as there are no safeguards against accidentally creating a redundant client. There is no ability to “set” the language of the client permanently. So every time I wanted to invoice a French member, I had to remember to choose French as a language. Receipts is for cash sales. I needed numbered receipts to account for payments received against amounts owing, and I needed to be able to match the payments against invoices. After some trial and error, I discovered how to do this, but it was not easy, and again involved triple checking. I found the credit memo invoice cumbersome. Luckily I didn’t need this feature often, but when I did use it, it was a chore to fill it in so that I got the correct amount in the correct currency. Drop down boxes are inconsistent. Most of them were simply click on the box and select (or type the first letter and choose), but a couple boxes you had to click on the box and click on “more” to get at the item you want. Cumbersome. The mobile app never worked for me on my Alcatel Idol 3 Android phone. First I had to remove a lot of apps before I had enough space, then the app crashed on me too many times, and I had to delete it. Fantastic product … I can honestly only suggest it! The most suitable decision among online billing services ..
No InvoiceOcean questions were found. Please submit your first question. This InvoiceOcean review is from third-party sources, quality may differ. The most common thing that a modern man and businesses have to deal with is its expenses. Because of the lifes modern approaches to a business and persons daily life, expenses and bills are often taken for granted. One of the biggest mistakes ever is to rely on ones memory and constant reminders from enveloped bills when they reach ones mailbox. It is surprising that with the rise of modern technology, some are still not able to track their own purchases and expenses. A very reliable solution to combine technology and solve the problem of expenses is the use of InvoiceOcean. This software will ensure that you are up to date of your current expenses and are in line with the current trends of your financial WAVes that could hit your pocket and business. You can never deny the fact how useful InvoiceOcean is to business owners as well as to people who are in need of money. Such software enables a business to make automated invoices of billing and payment thus making you save time and effort. You can process transactions as quickly as possible and provide people accurate data if they ask for it. Clients can pay online and view their accounts with ease which is absolutely a very convenient way of handling a collection process. With InvoiceOcean, there is no need for tedious paperwork. Everything is stored in the Cloud. You do not only save time - you help the environment as well. Bills are just a usual part of peoples everyday lives especially these days that the economic status in the society is unstable. Business owners are obviously in demand to help people with their basic needs and other expenses. As a result, these institutions will have to deal with lots of files from their clients which are really a hassle that they need to organize. Of course, such information is very important for them to know if their clients are making payments or not. 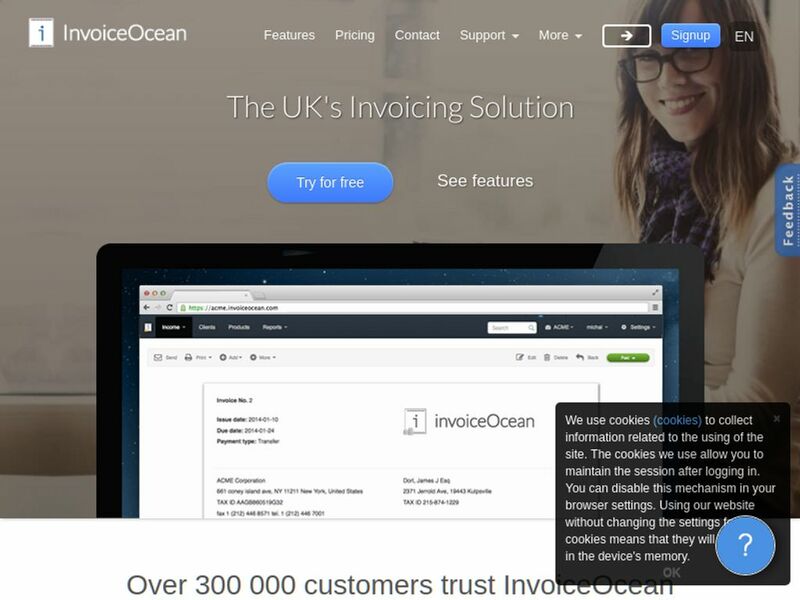 In order to alleviate this problem, using InvoiceOcean is really of great help. Employees of various financial institutions will no longer have to worry keeping track on their clients because the software will certainly do the task. In this case, the institutions can accommodate new clients without affecting the kind of service that they can offer to people. The first main advantage to InvoiceOcean is that it's Internet-based, which means you will not have to spend cash on propriety software that needs constant updating. All you need is a device and an Internet connection, and you will instantly be in touch with your online invoices. In-the-cloud solutions in particular will not have you end up losing all your data just because your hard drive failed because they are all stored virtually, in separate servers, in the Worldwide Web. The fact that online invoicing entails having your every transaction computerized is another great advantage. Instead of dealing with ledgers and cataloguing receipts or invoices (which are all more prone to human error), you can, on autopilot, have your transactions transferred as digital data on your computer that's stored outside your hard drive so that you can access them on any computer (as long as you have a password). What's more, digital data is easier to organize, read, access, interpret, and put into summarized statistics. Every last cent is accounted for, everything is recorded accurately, and the information itself can be presented to you in a format that is easily understood (pie charts, line graphs, bar graphs, and other analytic methods). 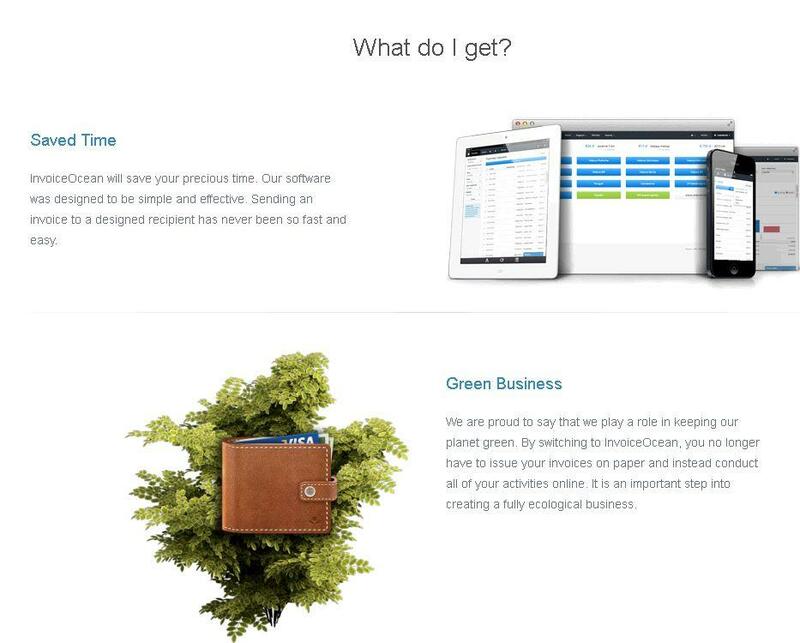 Everyone in your company will have a grasp of how your business is doing in an instant. 24/7 monitoring and auditing increases the network security resulting to the improvement of the system, update of equipment, and higher protection against malicious activities. This system also encourages the company to focus more on the essential non-IT related concerns thus allowing employees to get ahead on their tasks and responsibilities and to produce more output within a short period of time. There might be a lot of other invoice systems online that could help you acquire the service you wanted without putting much stress on other things aside from expenses. 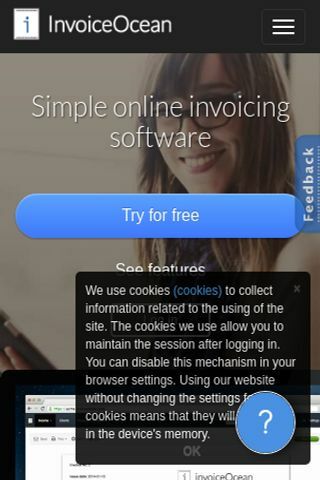 This kind of competition is one reason why InvoiceOcean might not be your first software of choice. You should expect that you are to encode the best and most honest information on the software provided to help you get the result that is relevant to you. Having the data transformed into computed format, the dedicated space for papers and portfolios can be saved and instead, records are easily harvested from a single source. The hassle of transferring or carrying paper records is minimized, and you save trees for not using paper as well. Another related problem with paper records is that when you need the history and critical data of a client as soon as possible, you need to go to the records section, spend time searching for data, and exert effort in carrying the papers as well. Now thanks to InvoiceOcean, you can easily access the files, just in a matter a minute or even seconds, and you can access them anytime and anywhere. This increase in demand has essentially compelled businesses to deal with their online needs in communication, information technology safety, data distribution, redundancy checks, quality assurance processes, and many other big-business-scale worries even in smaller-scale outfits. Data center usage has become so ubiquitous that it now encompasses a microcosm of SMB (small-to-medium business) needs instead of the traditional needs of entire corporations. Thanks to InvoiceOcean, more and more people are rediscovering how much fun invoicing is, albeit in a more bite-sized, instantaneous way, but it is a lot better than having to deal with paperwork. The bottom line here is that InvoiceOcean is an important piece of application as it is nowadays the source of data thanks to its ubiquitous nature and pervading presence. Every business owner should own this convenient software, as they will discover how it could assist in more ways than one. Do you want to build with InvoiceOcean? Visit InvoiceOcean developer platform for more information. Do you want help with InvoiceOcean? Any trouble with InvoiceOcean review? More Online Billing Services Looking for alternative to InvoiceOcean ?